Hi Jackie, I want to say thank you for the help with the recent moves at the Metro Toronto Convention Centre. Everyone was really impressed with how well the moves went. Special thanks to Mario and Joe who took extra care with the items - they're real professionals. Excellent service! I had requested a move of a 160lb professional table from my basement Mario and his team fit me into their busy schedule and moved it working as a team Jackie in the office was very friendly and accommodating. Would use them again. Highly recommend! These guys have moved our design company 4 times in the past twenty years. Amazing service, dependable, accommodating, super careful and made what could have been a very stressful day go smoothly. Can&apos;t recommend them enough....just hoping that this is the last move for a while. Just a quick note from me that I could not have asked for a better team and easy move from your Service persons. Everyone remarked on how professional and kind and courteous Mario Josh and Ian were and how well they worked together. The move out was hard because of the stairs and the move in was difficult because of the long corridor but they all worked diligently and very well. Very quickly furniture and boxes were in place. A fine team. I was more than pleased with all the service, yourself, the box store staff and the estimate and quote and of course the moving team itself, and would recommend your company and staff. Thank you for making the move from Toronto to London as smooth as possible. I recently sold and bought a residence within Toronto. My original closing date was changed to ten weeks earlier, so I had to quickly find a moving company. I thought of Consolidated who had moved my household 16 years earlier. Jackie, the office contact, was able to fit me in on the date I needed. 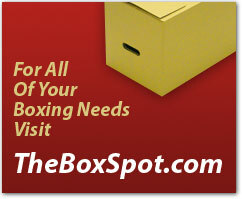 Their affiliated company, The Box Spot, provided excellent advice on the size of boxes for various items. 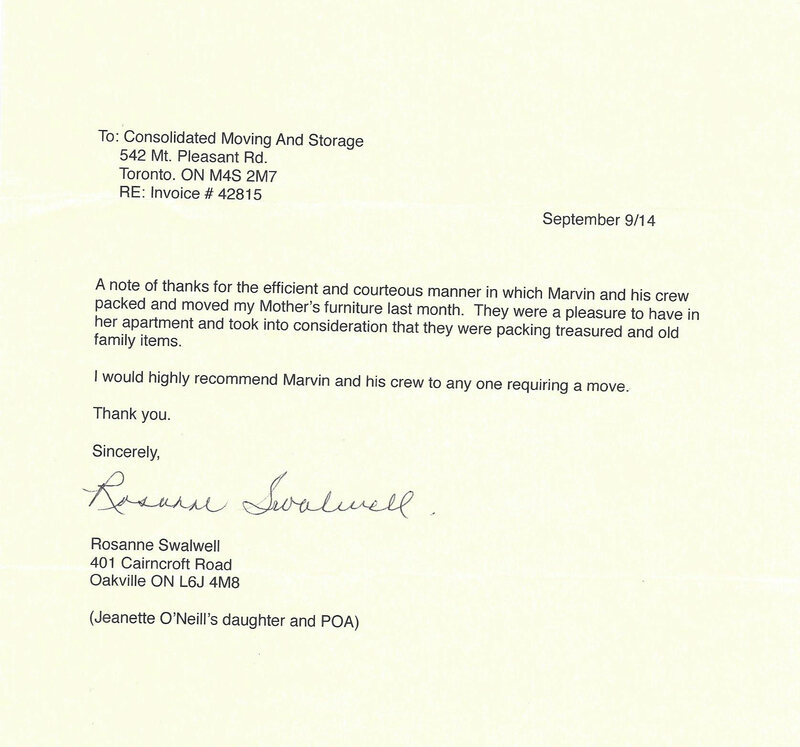 Marvin and his team did a perfect job in moving furniture, carpets, boxes, etc. 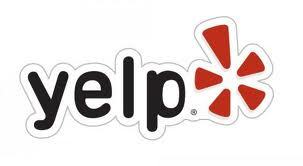 Google Review - This company is truly worthy of five stars! Please thank the guys for me they were amazing as usual, love using your services. Till next time Thank you and to the lovely team at Consolidated!!!!! Just a note to thank you for the usual excellent job you and the guys did in handling my move yesterday. It is such a help to have good movers, it makes what is always a stressful occasion, much easier to cope with. I am sending you this email to thank you and your crew for the amazing customer service I always receive. You and your guys are always ready to help me no matter what the circumstances are. And they have so much patience with all our demands and some of our very difficult people. But yesterday they surpassed all my expectations!! I was trying to get you to discuss the need to move a few things at 45 Walmer but you were away. So I called Marvin to ask him if he knew what today was like. He said that I would have to speak with you. I was going to call you in � hour, when 10 minutes later they appeared at the door. I was speechless! You guys made me look like a hero yesterday!!!!!!!! Just a note to thank you for your help re my move and also to say what a great job Gavin and the guys did under extremely difficult conditions yesterday. I am sure they told you about it. Like I say, they did an amazing job. Now that our move is nearly over and we are shaking down our belongings I would like to thank both of you for the care and attention which we received during this event. While I know moving is your business, for two seniors it is a rather daunting process and you helped to make it much less stressful than it might otherwise have been. We really appreciate the kind care and attention which we received from you and your staff. Marvin and the crew were great to work with. Everything from the quotation to the moving the gym equipment and pool table. Thanks for all your help! a quick note to say Gavin and Mike exceeded expectations. Further and details to come as I am setting up our new home. Thank you too, you epitomize an ambassador for the company. Just wanted to say thanks to Gavin and Marvin for a smooth and professional move today, and Jackie's help with pre-move details and advice whenever I needed. It was daunting arranging everything from Ottawa, so your prompt answers helped a lot! You folks are *super*. Thank you again! I just wanted to say a heartfelt thank-you to you and all the Consolidated folks. You did an excellent (and expert) job handling the move and storage while my house was being rewired. I really can't say enough nice things abut your crew. Under Gavin's leadership, both teams were polite, efficient, conscientious and friendly. They took every precaution to ensure my antique furniture was handled with the utmost care. I would highly recommend Consolidated to friends and family. Thanks - and have a great weekend! Just a short note to thank you, and the rest of your employees, involved in my move, from Heath Street, to Tweedsmuir Avenue. You were certainly always obliging on the phone, and ensured that everything was on track, as was Garth, and Gavin too! The entire team who moved me, were terrific, as cheerful, and willing during the last hour, as they were during the first. it made the day a lot more pleasant to have people around me with those attitudes. Please pass on my comments, and give them my sincere thanks. Everyone worked very hard, including me! but, we had a good day, and mission accomplished. I just wanted to say Thank You: you always come through for me and your free, in-town delivery really helps me a lot! The discount is a bonus. We're still settling in from our move on July 16th, but I wanted to let you know that Marvin and his team did a terrific job. Once again, we had a successful move with Consolidated. If there is any site where you'd like me to post a rave review, let me know as I would be happy to do so. Many thanks for your help with my project. Ken was amazing, especially as I underestimated the job. Very much appreciated! Thanks for just booking what, by my reckoning, will be the seventh major move by Consolidated for members of my immediate family. It seems timely to acknowledge why we keep coming back to the great company you and your brother Garth founded in 1980. First, the service is comprehensive. Consolidated has supplied us with countless cartons and a diverse range of packing materials. Your teams have packed scores of fragile items for us. They’ve smoothly moved big pieces of furniture in and out of three-storey houses with twisting staircases. And they also safely stored a number of our antiques for eight years. Second, the service is superb. With literally thousands of items packed, stored, and moved short and long distances, not a single thing has been damaged. Moreover, led by Garth and Marvin, the crew members have always been congenial and considerate. Third, the service is very efficient. To new customers, I’d simply say: Don’t be fooled by the number of grey hairs on the heads of crew members. It turns out that these veterans know exactly how to move really big items and large loads with minimum risk and maximum speed. In short, Jackie, we are very grateful to Consolidated for excellent help with many transitions. I look forward to seeing the crew again in June. I just realized that I neglected to pass along a big THANK YOU to Marvin and the team for their work on the 31st. Professional, efficient, hard-working and courteous. I have not had a chance to e-mail you before, as I had to go out of town for a couple of weeks almost immediately after I moved. I just want to thank you for all your help with my recent move also Garth and the guys did a great job, as always, so quick and efficient. Also it was great to have them do the packing as well and, again, they did a great job with that. So, thanks again, Jackie, and I hope you have a great summer, we sure need it as it has been a long time coming! As follow-up to our phone conversation on May 13, 2015, I wanted to take this opportunity to extend my deepest appreciation for the outstanding work of your team. I was so impressed with the professionalism, courtesy, attention to detail and positive attitude of the individuals who assisted with my move. First, a special word of acknowledgment to Ken who packed our entire condo. When I arrived home all was neatly organized, clearly labeled and clean. Everything that was packed arrived in perfect shape and nothing broke. The moving team lead by Mike Gavin and Denis were exceptional, especially when there was a last minute problem with the new building and all elevators went out of service. They were patient, kind and reassuring that all would be rescheduled quickly. The day of the move was masterful with their coordination - especially since only one elevator was working for my condo on the 51st floor. They had everything moved in under 3 hours. 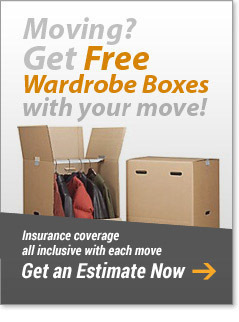 Without hesitation, I would hire Consolidated Moving + Storage Ltd. for any of my moves or recommend to anyone. 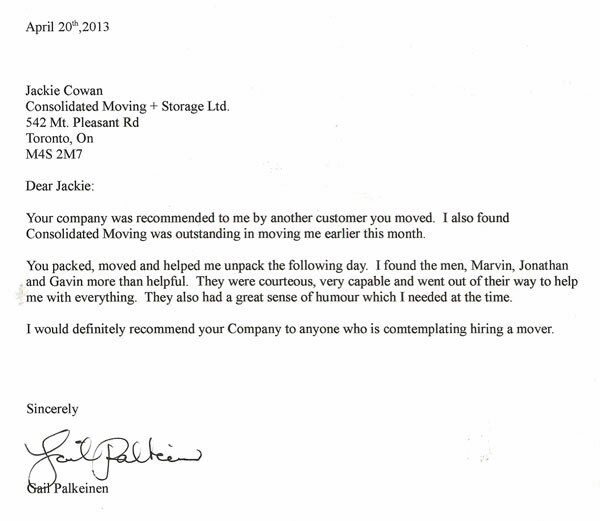 My deepest gratitude and best wishes to Toronto's top moving company! In the course of getting settled in our new home, we've thought about many companies and individuals who've had a role in the purchase and setting up of our house. We feel extremely fortunate to have received excellent service and products from virtually all of them, including your company! i hope that you, Fred, Jon and Mike enjoy good health and much happiness for the rest of 2015. I am surprised that there were so many pieces after all! I will have to oinch Mackenzie. He said the movers did a great, very professional job. Our Move went exceptionally well. Thank you. I am loving my new space. David and I thank you and the team at Consolidated for an outstanding move yesterday! Everything went off without a hitch. Marvin lead a great team including Mike, Gavin, Adam and John. The were punctual, extremely hard-working, polite, courteous, thoughtful and efficient. We were thrilled with how quickly we were able to begin unpacking in new house. The team went out of their way to protect our belongings, including how they tied back the branches of our tree in the front lawn. Everything was looked after thoughtfully and efficiently. Thank you again, and please pass along our thanks and appreciation to the guys. Thank you very much. Overall the move was great. The guys were really good and made it really easy. Thank you for everything and I will definitely recommend you to anyone who asks. Jackie- everything went beautifully. Marvin and his team were fabulous. They were so skilled as a team, they listened to our requests, they were fun and humorous and they worked at top speed. At the end of the day, we told them that it was one of the best days of our lives. We will remember the excitement of the day and how much the team was a part of our happy memory. We give a 150% endorsement to the team and will heartedly recommend your company to any friends and family that are going to move to another home. Thanks Jackie. You and your team are just fantastic!!!! I just wanted to let you know that our move to 278 Bloor went off without a hitch! As you know, moving is stressful but I knew all would be fine, since I’d used Consolidated Movers before. The three movers were on time, thoughtful, considerate, efficient, and very hard working. They worked extremely well with each other and with the security at one location and the concierge at the other (who basically overseeing the moving in/out activities). They brought everything that you and I talked about; TV box, mattress covers, wardrobe boxes, etc. 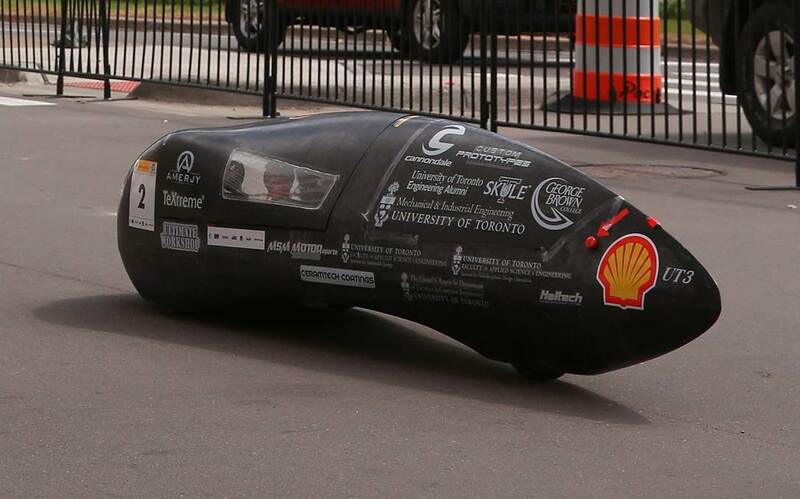 Mid-day the team lead decided a 4th guy was needed to speed up the unload as we were a tad behind schedule. This was a great observation and we didn’t hesitate to go with his recommendation. It was a win-win situation for everyone. And a special thanks to you for working with me during all the planning and preparation. You were so responsive to my questions and additional needs. Doug and I are thrilled with the move! But we hope to never have to move again! Lol (But we will continue to recommend). Thanks again so much to Consolidated Movers and the team that helped us. I wanted to let you know how well the move from Toronto to Amherstburg went. Marvin and his crew exceeded my expectations. They arrived at the Toronto location with two trucks and a crew of six. After hearing so many horror stories about movers arriving with small trucks and a casual crew I didn't know what to expect. My mind was put at ease as soon as I saw the trucks. Emptying the Toronto house was done quickly and thoroughly. Three hours in and out. The following day (5th) Marvin arrived at my door before 9:00AM. He and his crew left Toronto at 4:00AM to ensure a timely arrival in Amherstburg. Again the unloading was done carefully and each item was placed where I wanted it, including the heavy carpets. Marvin is a professional and his crew work hard to ensure the move is as effortless for the customer as it can possibly be. I highly recommend Consolidated Moving to anyone anticipating a house move. Dear Jackie and Melanie Last evening you were both incredibly kind and helpful when I arrived with the three large glass jars for my friend in B.C. I am writing this little note to say a great big "Thank you" My friend uses your services on a regular basis and I bought from you when I moved a number of years ago. But you went above and beyond in helping me. I won't forget that! July 27, 2013, Janet Stubbs. Thank you very much for the wonderful moving service. Marvin, Gavin, and Fred moved everything upstairs like a touch down in the Super Bowl. I am so happy! The price is reasonable, so that I could depend on Consolidated and the Box Spot for all my heavy moving. On behalf of my mother, Marsha Joseph, I would like to pass along our gratitude to everyone who was involved in her move on December 4th, 2012. From the wonderful packers to the crew who worked on moving day, everyone was efficient, helpful, thoughtful and professional. The team did a fabulous job of making a highly stressful and emotionally charged move as easy and effortless as was possible. While we hope that none of us is going anywhere any time soon, we will be sure to recommend Consolidated to anyone we hear is moving. Thank you again and Happy Holidays to all! My recent move from Toronto to Kingston was a total success! The five men who came to my apartment in Toronto were friendly, courteous and worked very well together. They were up and down the three flights of stairs as it it was nothing. Garth went above and beyond the call of duty, but I guess you know all this. I just wanted to let you know what a wonderful experience it was for me. I appreciate your organizational skills and your ability to select such wonderful workers. The move (from my perspective) went extremely well. Thanks to the whole crew for the help! Look forward to using Consolidated again. Hi Jackie - I wanted to send this earlier but my email was down this week. Andrew and the team of movers were amazing! They were nothing but friendly and professional. I will not hesitate to recommend you guys to anyone I know that needs movers. Thank you very much for moving and installing the two optical tables at UTM last Thursday. They both look good and it shows that you guys know your stuff well and do things very efficiently. I just wanted to email and thank Marvin and his crew for excellent service that they provided for my boyfriend and I last Wednesday. Not only were they on time, they were early by 15minutes and started right away. Marvin brought an extra man, and didn’t charge for him. They didn’t complain through the sleet, snow and rain. They smiled the whole way, were polite and very careful with all our belongings. When our elevator in our building was being tested they waited patiently, and got their job done early with room to spare. I could not have asked for better movers, you can be sure that I will recommend them to friends and clients. I will also use you again for my next move! Just wanted to express my utmost satisfaction for the high level of professionalism with which your company handled my moved yesterday. It was above and beyond my expectation. You can count on me to spread the word. From the bottom of my heart, Thank You. I want to thank you and your team at Consolidated Moving for the great service. I’m sorry I didn’t get the name of the three gentlemen who showed up yesterday morning because they were all terrific. Our concierge commented on how polite and thoughtful they were. There were 3 other moves going on in my building the same day, and the Consolidated Moving team were noticed for all the right reasons. Everything was exactly as exactly as promised…no surprises. When I reviewed the quotes I received through CAMA, yours stood out because it was complete. You took the time to estimate the time and add up all the extra costs. The other quotes ranged in estimated hours, hourly rates, and extra fees. This made it hard to compare apples to apples. Your fixed price made me feel confident that there would be no surprises. Also, you were the first to respond and you asked the right questions. Bonus points. I just wanted to send you a quick note to thank you for all of your help. I could never have done it without you and your guys. I hope you and your family had a great Christmas and all the Best for 2012. Consolidated Moving has stood by us in our challenging times and continuously supports our efforts. For that we are grateful. We thank you, Garth and Marvin, and all the staff whose excellent support has made our day - to - day work smoother and pleasurable. We wish you a wonderful, successful and innovative new year. I apologize for not sending this email earlier but perhaps you can tell from the fact I am sending it a month later that I am still thinking how great your service was. Booking and sorting out the move originally was very easy. A follow-up confirmation call from you was reassuring. And finally, on the day - your guys showed up , 10 minutes early - perfect. They were wonderful - knew exactly what to do, were even more careful of our things than we were, organized and put things in the right spots, were efficient and above all were calm in the midst of the usual move chaos. I just wanted to thank you and them for being so good at what you do. Be happy to give a recommendation anytime. The move went great. Everything was moved out as planned and the move-in went quickly and the guys did a fantastic job. If you ever need a reference, please feel free to use me as a long time customer. Just a short note to thank Ken, Garth, Gavin, and Jackie at Consolidated Moving for the job you all did for my son Andrew's move to Waterloo. Very professional move, and thanks again. Hopefully you will be able to help him move back, in a year or so. I just wanted to say a big 'ThankYou' to you and all your team there. My move went smoothly and the guys were helpful and professional all the way through. 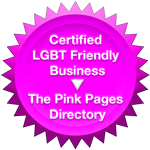 I was really pleased with their efforts and will be happy to recommend this company to friends in the future! Great job! Thanks so much! I went on Friday night with my landlady and the great girl working there was super nice and quick! I didn't catch her name. The kit was exactly the amount I needed for my jr 1bdrm to pack up. I'd just like to express my satisfaction and appreciation over the move we made last Tuesday from 1 Rean Drive to 8 Hillcrest Avenue. The moving crew showed up right on time, worked diligently and professionally, and finished the move within the estimated time. The final cost was most reasonable and conformed to the quote discussed. All in all, I would definitely recommend you company to relatives, friends and other parties as the movers to choose when the occasion arises. I want to thank you for your assistance in our recent move. The professionalism and efficiency that the team that handled our move exhibited was a wonderful experience for me, particularly when I had to handle so much of the transition to the new space of my own. It made a very stressful time in our office life just that little bit less of a burden and for that I am grateful. I am from Vancouver and was in Toronto in January looking after the estate of my recently deceased mother. On the 25th I attended your store on Mount Pleasant to purchase boxes and packing materials. The staff were pleasant, knowledgeably and extremely helpful. Even to the extent of helping me to the car with my purchases. This was obviously not an isolated incident as I had to return a few days later to return some product that I did not need and to purchase a couple of more boxes. A different staff member looked after me and again assisted me to my car with my purchases. Your staff were wonderful and will extol their virtues whenever possible as well as encouraging anyone that needs moving or packaging materials to shop et your premises. Just to let you know that all went very well during my Mothers move. The moving team was efficient, polite and hardworking. No items damaged or scratched - the team was highly professional and organized. End price was very reasonable - thanks. I would like to extend my thanks to you, Marvin and the boys. I will not hesitate to recommend your services and the services of Consolidated Movers to anyone asking about or needing movers. Just a quick note to let you know that my mother's move on Friday went extremely well. The gentlemen who were responsible (Marvin, Gavin & Tom) were obviously moving professionals. They were very pleasant, helpful, and did whatever they could to make the move go as quickly and easily as possible. Additionally, not one thing was scratched, broken or damaged in any way. I had been dreading the move, but can honestly say that these guys made it go so smoothly and seamlessly that my stress level was reduced significantly from the time they got started. I used Consolidated when I moved back in 1987 and was impressed by the people who moved me back then - and you have obviously maintained the same level of competent and friendly people in your employ. So - on behalf of my mother and me, thanks to you and the guys for making a stressful time a lot less stressful. Great job! We did want to get this letter of thanks to you weeks ago, but moving into our home so close to the holidays, and still dealing with deficiencies meant delays in getting to our paper work. We cannot tell you how much less stress we felt with our move because Marvin, Gavin and Ryan were on the job. They were so pleasant to work with and as we fully expected took great care with all of our things, and especially in the newly painted house .... please let the fellows know how grateful we are for their exemplary efforts. "Dear Jackie, I am writing to thank you for once again providing the best possible service to my clients who recently moved into SAHIL at 1387 Bayview Ave. I have now referred 15 of my senior clients to you who are downsizing and moving to one of the areas local seniors' condo buildings. Without exception each one of them has taken the time to call me and thank me for making the recommendation to use you. I have added your company to my own web site www.LiveinLeaside.com because I feel so strongly about this. People should know that there are no fees paid to me for these leads. I use you because it adds value to my own business." Just wanted to drop you a note to let you know how much we appreciated your assistance in helping us with the move .... You and your team did a fabulous job. The comedic banter - quite entertaining - was an added bonus. I wanted to write to tell you how pleased I was with the moving crew that you sent on Monday. They were prompt, fast, professional and courteous. We look forward to working with you again when we do our final move to our new home. ...please give your movers a big 'thanks' for the great job of moving and reassembling our office area this morning. Everything was perfect and allowed us to get clinic started at 8:00 AM, right on time!! The guys were wonderful as usual & it was so great to see them again. It's almost worth moving again next Spring just so I get to see them. I've given the name of your company to many people. I moved this past Wednesday from Toronto to Stoney Creek. I was really dreading the move and anticipating the day from hell. I wanted to take a moment to pass along my thanks to the very professional, competent, polite crew that performed the move. My mom was with me during the move and we were both impressed with not only the competence of the crew but also that they were able to move things so quickly. I expected to be moving until well into the evening but everything was done by 4:30pm. And it was definitely not the day from hell; it was even bordering on pleasant. Again, please accept my thanks and feel free to use me as a reference anytime. Many friends, family and colleagues have been asking about my moving experience and I have been very quick to recommend that they contact you should they know anyone who is moving. Thanks so much of all your help (Marvin and his staff did a great job)! Dear Jackie, Thank you for the services you had provided in our move last May 20. Please extend our great thanks to Andrew, Denis & Dave. I'll definitely recommend your company to others.